Ideal for Oval/hex F connector for the installation of CATV, home theater, satellite and security system applications. 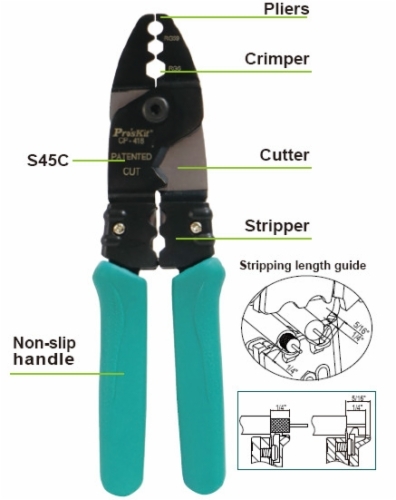 All in one designed for cutting & stripping & crimping RG6 and RG59 coaxial cable. Strips coaxial cable by 2 steps for outer jacket at 1/4" & center core at 1/4" or 5/16". Precision stripping hole for removing inner dielectric insulation without damaging the center conductor. 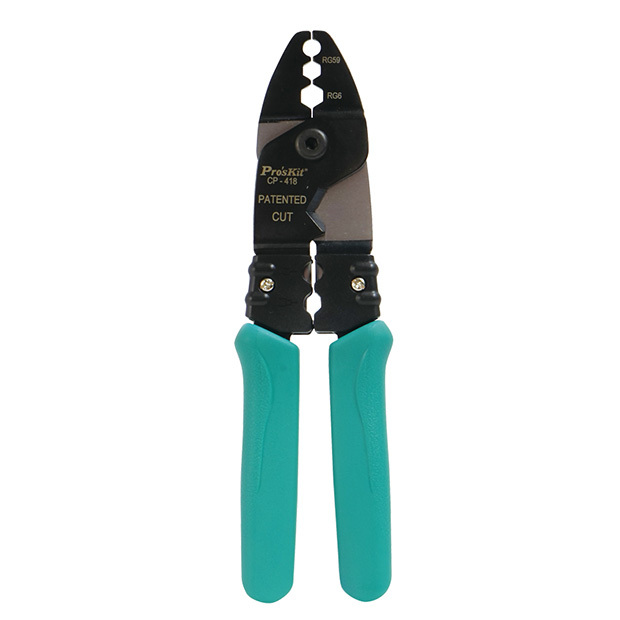 Ergonomic design & Non-slip handle provides comfortable use.